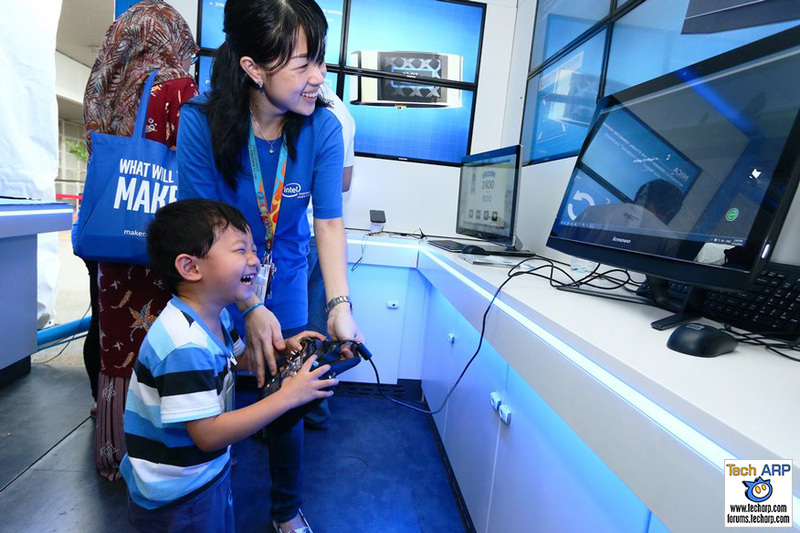 PENANG, February 19, 2016 – Designed as a travelling showcase of Intel’s technology and innovations, the Intel InsideOut Experience (IOE) tour will be in Malaysia for two weeks until the 1st of March 2016. This global tour covers 28 sites in 11 countries and celebrates the people behind the amazing innovations. “At Intel, we believe that our people are our greatest asset. The Intel InsideOut Experience (IOE) demonstrates the phenomenal technology that our employees create everyday, making a difference in the world. This year, we are also very excited to celebrate the 25th anniversary of Design and Development in Intel Malaysia,” said Robin Martin, Corporate Vice President, General Manager of Assembly Test and Manufacturing, and Managing Director of Intel Malaysia. 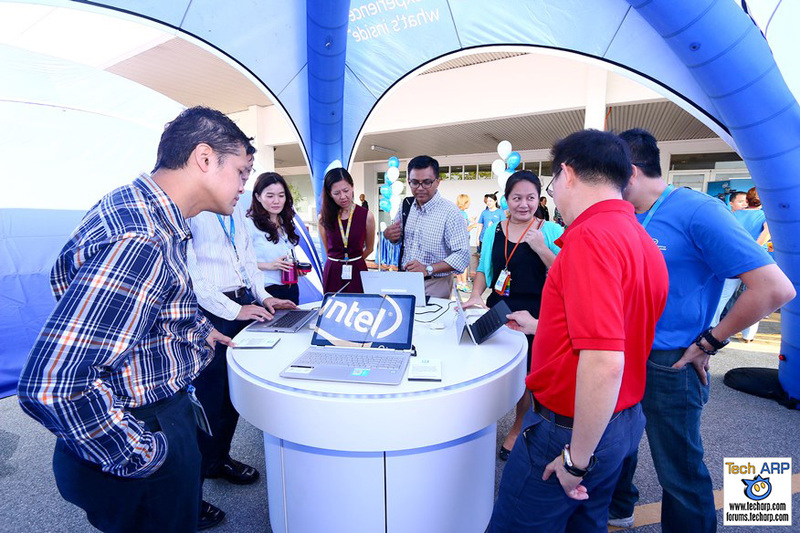 The Intel IOE showcase includes a line up of laptops, tablets, wearables, 2-in-1s, All-in-Ones (AIO) as well as mobile phones, many of which are designed, developed or manufactured at Intel Malaysia. Other technologies on display include animated totems, 3D printers, the RealSense experience and the Oculus Rift. All Intel employees, their family and friends as well as university partners had the rare opportunity to view Intel’s technology and innovation in person. 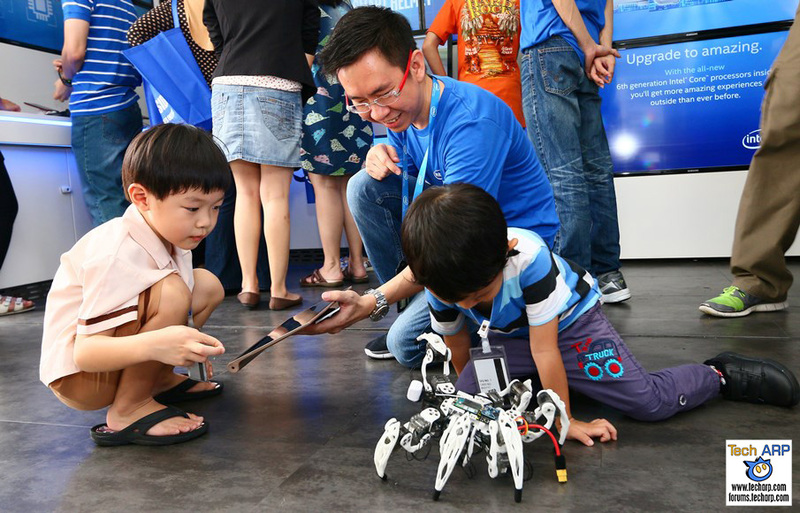 Here are some pictures from the Intel InsideOut Experience (IOE) tour in Penang! 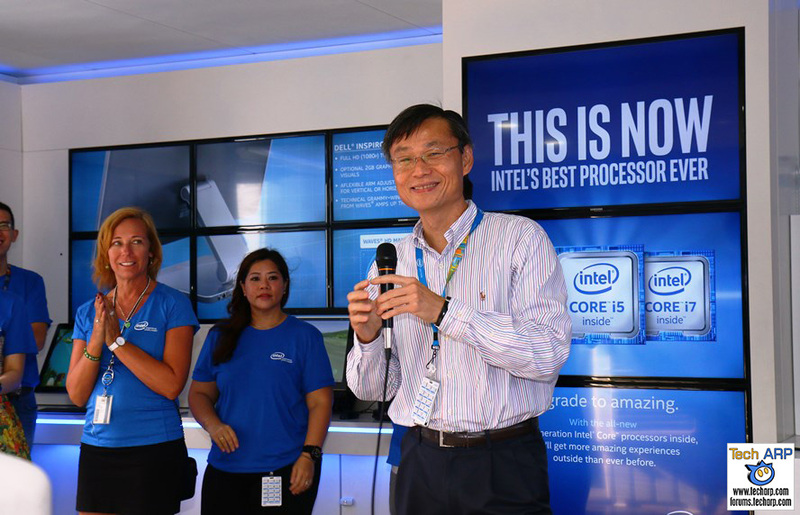 Ooi Kim Huat, Vice President of the Technology and Manufacturing Group, General Manager of Penang Assembly and Test Operations at Intel Malaysia delivering the opening remarks at the Intel® InsideOut Experience (IOE) tour. 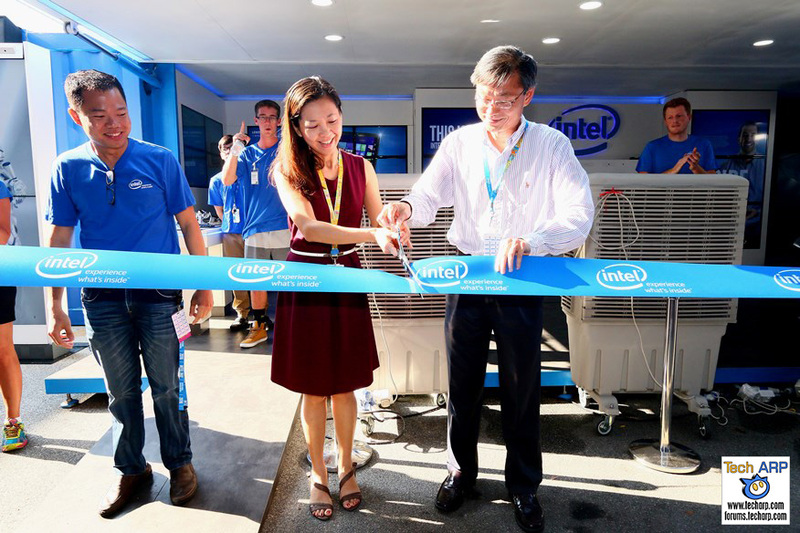 From (left to right): Tan Lin Im, Director of HR Shared Services Center at Intel Malaysia together with Ooi Kim Huat, Vice President of the Technology and Manufacturing Group, General Manager of Penang Assembly and Test Operations at Intel Malaysia launching the Intel® InsideOut Experience (IOE) tour. 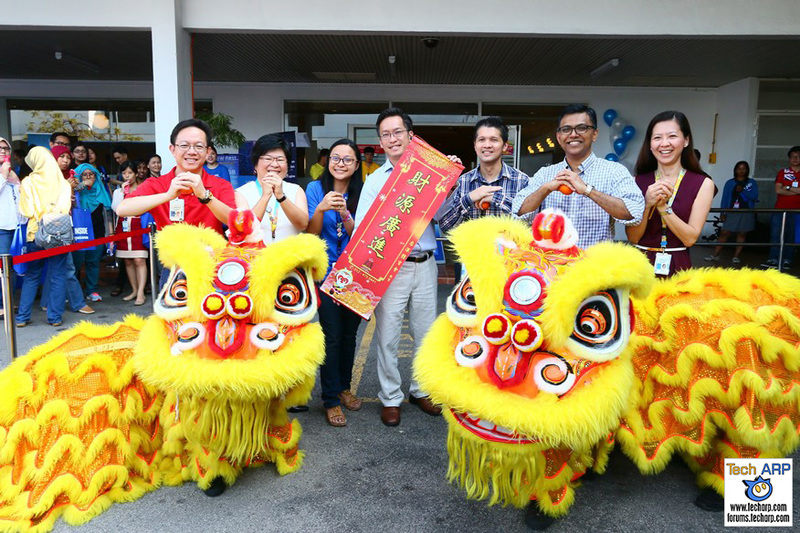 From (left to right): Intel Malaysia leaders and employees ushering in the Lunar New Year at the InsideOut Experience (IOE) tour. A showcase of Intel technology, the Intel® IOE tour includes a line up of laptops, tablets, wearables, 2-in-1s, All-in-Ones (AIO) as well as mobile phones that are made possible by Intel employees. The Intel® IOE tour welcomes all Intel employees, their family and friends as well as university partners to experience Intel’s technology.